Jan was consecrated by the Archbishop of Canterbury in June 2016, becoming the 9th female bishop in the history of the Church of England. Educated at Sheffield University, she trained as a Speech and Language Therapist before training for ordination at Cranmer Hall, Durham. In 1994 she was among the first women to be ordained to the priesthood. She went on to service in the Stafford Team Ministry before becoming Chaplain of Ely Cathedral between 1996 and 1999. She then went on to become Director of Communications for the Diocese of Norwich for seventeen years, combining that role with those of Chaplain to the Bishop of Norwich and Archdeacon of Norwich. 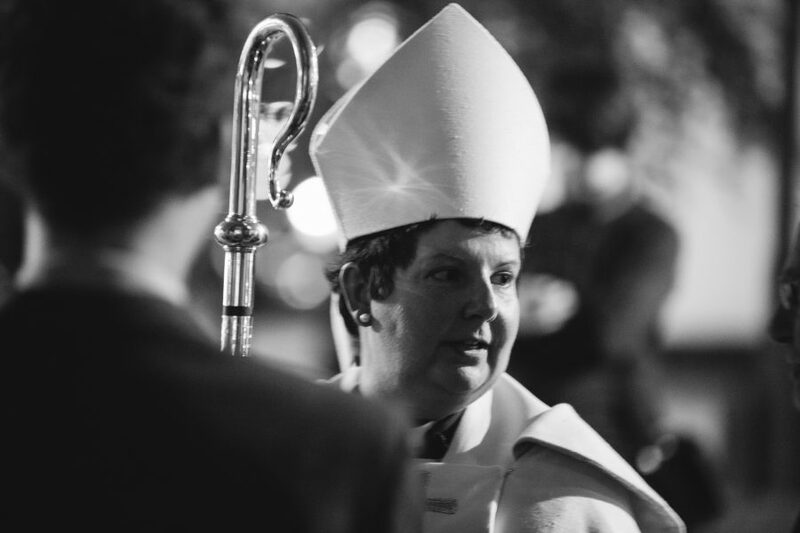 She served on the General Synod from 2005-2016 and helped see through the vote allowing women to become bishops, despite undergoing chemotherapy for breast cancer at the time. She is now the Bishop of Repton, the assistant bishop serving Derbyshire. She has contributed to several books of prayer and reflection for Church House Publishing and broadcasts regularly on local radio.